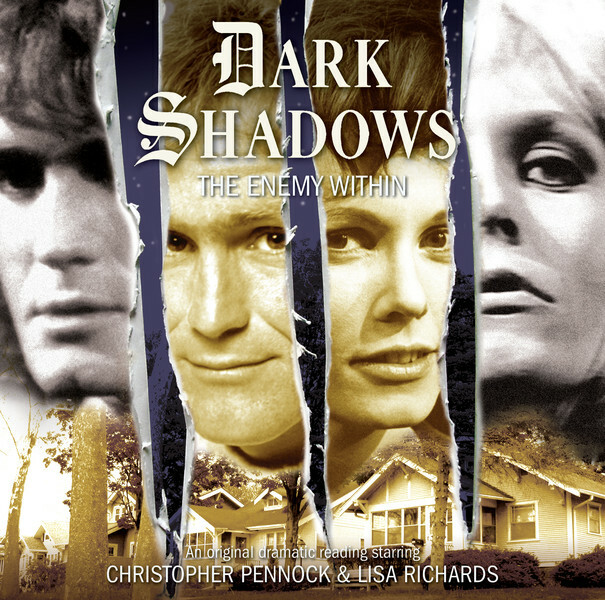 A few familiar faces are returning to Collinsport in the next DARK SHADOWS audio drama from Big Finish. CHRISTOPHER PENNOCK and LISA RICHARDS are set to star in THE ENEMY WITHIN, reprising roles from the 1970 Parallel Time story arc. Well, I think that's who they're playing ... Richards played a character named Sabrina Stuart on DARK SHADOWS, so it's safe to assume her character is somehow related to the events in parallel time. It looks like we're going to have to wait until later this month to find out. Cyrus Longworth has a secret. On the outside, he's the quiet handyman helping out with odd jobs. But his neighbours don't know about the voice inside his head. Sabrina Jennings has a secret. She's just moved in across the street, here to teach at the local school. But her new husband is nowhere to be seen. You can pre-order the adventure in two formats, compact disc or MP3 download, from the official BIG FINISH website. And CLICK HERE to listen to the episode's trailer. I thought that this was going to be in the concurrent time band. They mention that her name is Sabrina Jennings, which might mean Sabrina Stewart and Chris Jennings finally got together. Also as far as we know, the Dark Lord only planted one of his sons in one Cyrus, who based on the involvement with the Trasks and Quentin (not parallel time) grounds it in the original time band (non-parallel). Then again, maybe Big Finish is throwing some wool over my eyes. Sabina died in both time bands. Sabrina Stewart in the main timeline was not actually killed off on the show. Sam Hall later wrote something for TV Guide, where Chris killed her off after they married. Perhaps Big Finish might have set this before Sam Hall's scene or be going against it- wouldn't be the first for either. You are of course right that she died in parallel time in the show.